Tuesday, January 8th, is Stephen Hawking’s 71st birthday – amazing given that 50 years ago, he was told he’d have maybe two more years to live. I just finished rereading A Brief History of Time in December and hope to get to both The Universe in a Nutshell and The Grand Design this year. The picture/graphic below appeared on a Facebook page (as quoted in John Boslough’s Stephen Hawking’s Universe) and it made me rethink a position I’ve held for many years. “How”ever, I can understand the use of “why” in the context of “why the universe is as it is”. 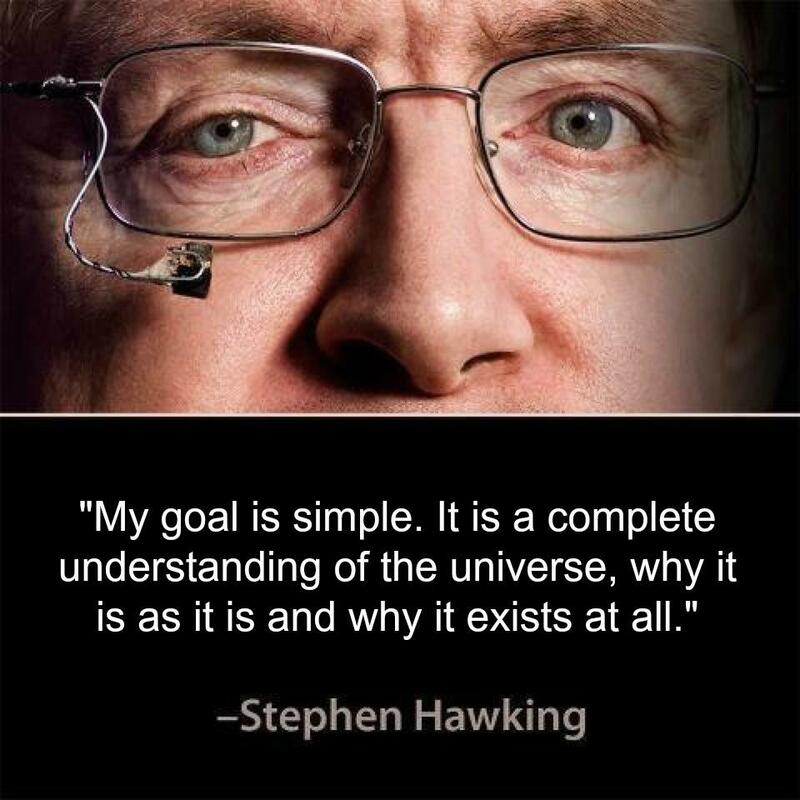 I am a little concerned over Hawking saying “…why it exists at all.” Oh, I see that as a consequence of examining time arrows and singularities, but I fear that such a simple phrase can be perverted by the ignorant, much the same as Einstein’s dicey objection to quantum physics and uncertainty. Still, it is an admirable goal, although one he knows is impossible. At least from a 2013 perspective. I wrote a long bit about my recent disk crash and the trials of trying to restore, then rebuild it, but this is the short and skinny on how to fore a new iTunes library to recognize your devices that were sync’d to the lost one. Uh oh. No syncing yet. I don’t jailbreak my devices – call it worry that I may not recover and end up with a brick – but even if they were jailbroke, what I needed was a way to get iTunes to not wipe my stuff. I found a couple programs that claimed to be able to read and transfer files from an iDevice and settled on Wide Angle Software’s TouchCopy because it could see the ebooks and podcasts, while the other couldn’t. I used it to pull the books and music – and export playlists – off of my iPad. Do note that that one can backup a device in iTunes without syncing. That comes into play in the next step. But I had to do more research…surely somebody has come across this before.